British and Irish Lions coach Warren Gatland has revealed that he was shocked by the backlash that followed his axeing of Irish legend Brian O’Driscoll and admitted it had taken some of the shine off the series win against Australia. Gatland said he was stunned by the vitriol he faced, particularly from Ireland, and did not feel vindicated despite the big 41-16 victory which sealed the Lions’ first Test series victory in 16 years. O’Driscoll, the 34-year-old Leinster centre, was hoping to crown his fourth Lions tour with a first series victory since 1997, but instead of picking up his 134th Test cap he was left out altogether by Gatland. The omission of O’Driscoll, the sole survivor from the tour against the Wallabies in 2001, created a huge commotion in Ireland where thousands of fans vented their fury on Twitter. Gatland, a former Ireland coach, said the effects of the personal criticism had rocked him, adding that he took no comfort out of being proven correct with his hard selection choice. “I was absolutely shocked at the vitriolic terms of the criticism. People are entitled to their own opinions and sometimes you have to make tough calls and we made a tough call,” Gatland told a post-match press conference. “We knew when we as coaches sat down on Tuesday night and were going to name the team that there was going to be some fall-out from that. “There have been some other players who have been unlucky on this tour in terms of selection as well. “I haven’t taken a lot of pleasure out of tonight in terms of feeling vindicated. I haven’t enjoyed the last 72 hours, it’s been pretty tough personally, and maybe in a week or two I might get some pleasure out of tonight. “But at the moment there hasn’t been a lot of pleasure out of feeling vindicated at the amount of criticism directed at me personally. The Lions’ victory came after the Wallabies had taken the three-match series to a decider after winning 16-15 in Melbourne last weekend. O’Driscoll played in the first two Tests but in the third he made way for back-from-injury Welsh centre Jamie Roberts, who scored the Lions’ fourth and final try. Asked if he felt his reputation had been on the line over O’Driscoll, the straight-shooting New Zealander said: “I’ve always stuck to my guns. “Some times you have to make tough calls and I remember Wales a few years ago I made a tough call on dropping Martyn Williams for Sam Warburton. 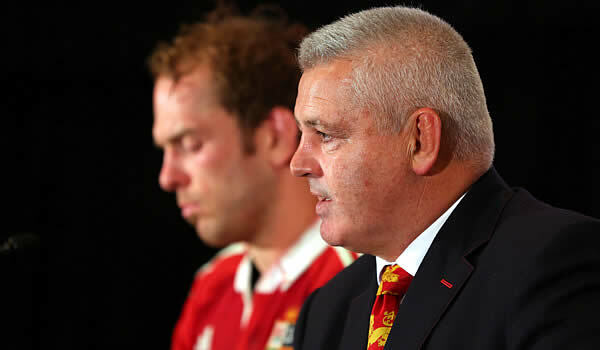 But Gatland, who is also coach of Wales, also said he would savour his achievement in masterminding a victorious Lions tour win after failures in 2001, 2005 and 2009. “You’ve got to enjoy those moments. 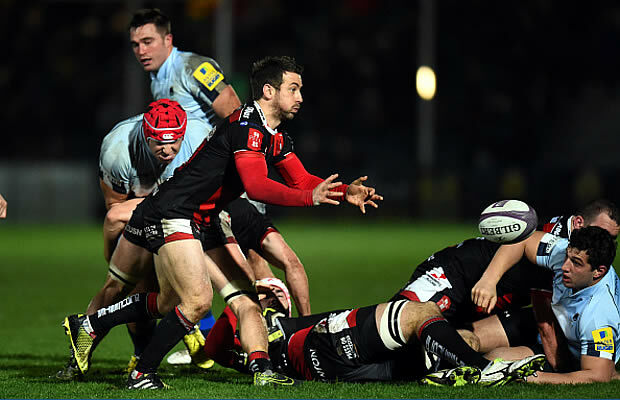 The thing with Test much rugby, it’s agony or ecstasy. There’s nothing in between,” he said. “When you get the ecstasy, you’ve got to enjoy that moment. Not just for myself, but for everyone involved. Emotionally we’ve put so much into it. “I’ve been lucky enough to be involved in the last two Lions tours –2009 was about restoring some real pride into that Lions jersey and felt we did that in South Africa.